What if heaven wasn't just meant to be experienced after we die? What if heaven can be enjoyed here on earth—right now? 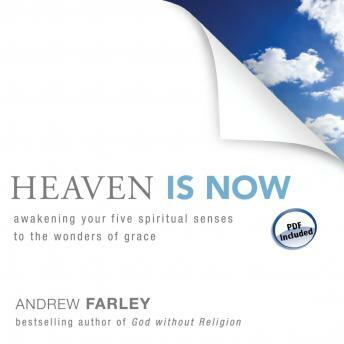 Through story and conversations with Jesus, bestselling author Andrew Farley reveals how much you can take in the beauty of heaven no matter what your circumstances. With insight firmly rooted in the reality of pain and suffering in his own life, Andrew assures you that heaven is not merely some pie-in-the-sky dream for the future - it is now. He shows you how to awaken your spiritual sense in order to see, hear, smell, taste, and feel the grace of heaven, even in the midst of trouble here on earth. The heaven you can experience in this life lies within you, far beyond the reach of the world - but well within your grasp.